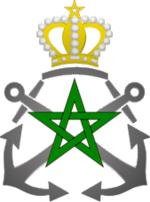 The Royal Navy of Morocco (Arabic: القوات البحرية الملكية المغربية‎, Berber: Adwas Ageldan n Yilel, French: Marine royale) is a branch of the military of Morocco responsible for conducting naval operations. The Royal Moroccan Navy is administratively managed by the Administration of Defence, which is (de facto) commanded by King Mohammed VI, the commander-in-chief of the Moroccan Armed Forces. 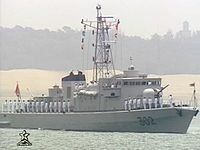 The Royal Moroccan Navy is part of the Moroccan Armed Forces. Its mission includes the protection of Moroccan territory and sovereignty, as well as the control of Morocco's 81,000-square-nautical mile Exclusive Economic Zone. Given Morocco's significant coastline (2,952 km) and strategic position overseeing the Strait of Gibraltar, it (along with Spain and the United Kingdom) is deeply involved in the security of this important international waterway. The history of the modern Royal Moroccan Navy began in 1960 with its foundation by King Mohammed V. The first admiral of the modern Moroccan Navy was Vice Admiral Mohammed Triki, who held the position as the Commander in Chief of the Royal Moroccan Navy for 14 years from 1991 to 2005, and devoted 46 years of services to the Moroccan Navy. Vice Admiral Triki was awarded these decorations: (from Morocco) Legion of the Order of Commander, Knight of the Order of the Throne by his majesty King Hassan II; (from France) Legion of Honor by President Jacques Chirac; (from USA) Legion of Merit by President Bill Clinton; and (from Spain) Legion of Merit. Although the modern Royal Navy was structured following independence, the Moroccan naval military traces its roots back to the 11th century, with the rise of the Almoravid dynasty, and its ambition for naval hegemony in the Mediterranean Sea. 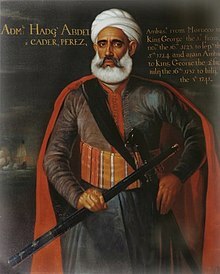 Admiral Abdullah Ben Meimoun is credited for being the first commander of the Almoravid dynasty organized naval forces. With the Almohad dynasty taking over most of northern Africa, together with Al-Andalus, the Almohad dynasty navy soon became the "first fleet of the Mediterranean". At its peak, the Almohad navy's military reputation was well known, inciting Ayyubid dynasty Egypt and Saladin to seek its help in preventing Crusades expeditions. The 16th century had the starting decline of the Moroccan state and consequently the navy that served it. The capture of major coastal cities and locations by Spain and Portugal much affected Morocco's naval capabilities. Later on, under pressure from a coalition of European powers, Sultan Slimane dismantled the last remanents of the Moroccan Navy. Hydrographic research boat H-01 H-01 2011 Used to chart the underwater coastal area. No boats of this class have been built yet. Russia has offered the sub for sale to India, but in 2005, India ordered Scorpène-class submarines instead. On 4 July 2013, Rosoboronexport announced they will offer the Amur 1650 to the Moroccan Navy if they announce a tender for new submarines. Abdelkader Perez, Admiral and an ambassador to England in 1723. Abdellah Ben Aïcha, admiral of Salé, ambassador to king Louis XIV of France in 1689. Abdelkader Perez, ambassador to England in 1723 and again in 1737. Corsair Triki of Salé, 17th century. Vice Admiral Mohammed Triki of Safi, Commander in Chief of the Royal Moroccan Navy from July 1991 to June 2005. 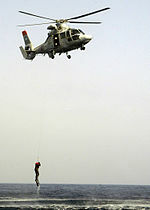 Moroccan Maritime Interdiction Operation (MIO) team during multi-national exercise Phoenix Express 2007. Marines from Morocco during exercise Phoenix Express 2009. Moroccan sailors conduct boarding exercises. 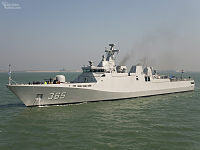 Moroccan maritime interdiction operations team on basic close quarter battle training in Exercise Phoenix Express 2010. Baker III, A. D. (1998). Combat Fleets of the World 1998-1999. Annapolis, Maryland: Naval Institute Press. ISBN 1-55750-111-4. ^ André, Charles-André (1994). Histoire de l'Afrique du Nord. Paris: Payot. p. 866. ISBN 978-2-228-88789-2. ^ "DCNS delivers multimission frigate Mohammed VI to Royal Moroccan Navy". January 30, 2014. Archived from the original on February 1, 2014. Retrieved February 3, 2014.